Break yarn leaving a 6” tail, pull through last 3 sts and knot. Run tail through center inside of hat. Sew back of head and body. Add eyes using either french knot, or duplicate stitch, or any method you love. A few days ago someone told me that I dress like a five-year-old. It was meant as a compliment, but this person didn’t know how right they were. However, I don’t just dress like a child, I dress like a baby. Seven years ago I hosted a baby shower for three of my dear knitting friends. Parties of any kind with crafty friends are the best because you know all of the gifts will be handmade-amazing. I was particularly taken with a gift of the Little Sister’s Dress by Tora Frøseth Design. I immediately began planning to upsize it into a vest for myself. I found the exact color of Vintage Berroco during Yarn Along the Rockies, did the math and voila! I was rockin’ baby clothes. Becky, Carrie & Kristi: Hard to believe their little ones are now in elementary school. The Little Sister Dress and up-sized version. Recently, while losing precious knitting hours by falling down the Ravelry hole I fell for the 4 Seasons Jacket by Justine Turner, another baby garment. This time I literally dreamt about knitting it in MadelineTosh DK in the color Nightbloom. This particular yarn had been hanging around the store for a long time. It’s so beautiful and had been fondled many times, but no one was buying it. I’m convinced it was waiting for me. I love the sweet look of garter stitch and as a bonus my Sassy Stichery project bag coordinates beautifully. The gauge is completely different than the original design, so it’s not just a matter of measuring and multiplying. The piece is knit bottom up and I’m confident until the armholes, but the little cap sleeves are going to require some brain power. It’s holiday season and I’ve got knitting to do for the store, so this little project is completely unnecessary, but it’s such a joy figuring out the math and thinking about the next part of the process. And that’s a bit of why we create isn’t it? To make something uniquely our own and light up parts different of our brain is what makes life fun. So, Cheers to wearing and doing the things that make you happy and playful! For every gift you make using yarn purchased at FingerPlay Studio, you'll get entered into a drawing for a special gift for yourself. Make one gift, get one entry. Two gifts,two entries,etc. You know, your loved ones can have a hard time coming up with gift ideas for you. That's because you are so awesomely crafty. Make it easy on them, and you, by keeping your holiday wish list at FingerPlay Studio. Mugs and earrings and tools and notions make great gifts for you or other crafty people in your life. Mark your calendar for our next YARNING HAPPY hour. This will be a Holiday Cheer celebration"! Bring your project, enjoy good company and libations. Friday, December 9th 6-8 p.m.
To keep up with all the latest from FingerPlay Studio, including sales, be sure to check our Facebook page. Fall at FingerPlay Studio begins with a love of color knit along! The LOVE OF SPIDERS shawl by Melanie Berg is themed around Charlotte's Web and was designed using Sunshine Yarns from Boulder. Choose from our Love of Spiders colors--now in the Studio. Join us for the Cast on Party, Friday, September 16th 6-8 p.m. Classes for fun and learning. 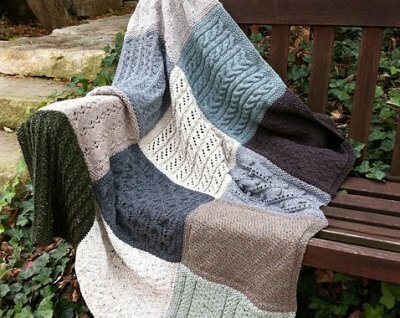 Check out our class schedule online which includes the Building Blocks Afghan seen above and more! Yarning for Kids is back...we'll teach finger knitting, needle knitting and crochet. Kid's move at their own pace. I'm not afraid of lace knitting. 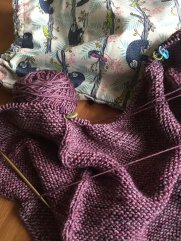 In fact, I consider myself a fearless knitter since my second knitting project was an intarsia vest with a matching purse that I made when I was nine-years-old. Still, I've never really ventured into lace knitting. Sure I've done feather and fan and basic lace work within other projects, but an entire piece made out of lace never interested me much. Then the year I chose to get a large tatoo on inked on my arm, my conservative brother-in-law decided to get married. The Catholic wedding was in New Orleans and I had a fabulous dress to wear, but I wasn't sure how the family or the Church would feel about the large knitting Buddha on my bare arm. To respectfully remedy the situation I knit up the Bird's Nest Shawl by Cheryl Oberle in mohair. It wasn't hard. 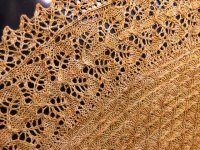 All you need to know to knit lace is knit, purl and yarn over--and how to follow a chart and correct mistakes. That was my one and only lace project. But suddenly I am drawn to the shawls that I see all over Pinterest. I love the look of an intricate lace shawl worn over a t-shirt, with skinny ripped jeans and tall shoes. I couldn't find the picture that I have in mind to show you. And actually it looks a little more like fall than summer, but if I knit it now, then I'll have it for fall. Right? 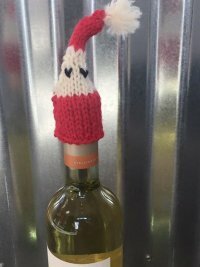 Doesn't matter in Colorado we get to wear our handknits all year long! I love that!! All this brings me to how excited I am that Road to China Lace is now at FingerPlay Studio. This beautiful earthy lace-weight yarn is comprised of baby alpaca, silk, cashmere and camel. Okay, Fiber Co. you totally had me at cashmere, but camel--oh yes! So now my mission is to get you all knitting lace shawls with me. And to enable us, I've asked my talented friend Beth Cervelli to lead our first ever evening class in lace knitting. This will be Beth's first time teaching, but she literally has drawers full of her handknit lace shawls in her home. You've seen her Teasdale knit with MJ at the studio. I'm still undecided in which pattern/yarn combo I'll knit, but I do love the Elder Tree Shawl. To help you choose your project for the class Beth and I have selected four beginner lace patterns. I'm pretty sure that Beth told me the Haruni was the one that started it all for her. It's a gorgeous pattern with options to simplify if you like. I can't wait to get started and I hope you will join us. Check out all of the details here.